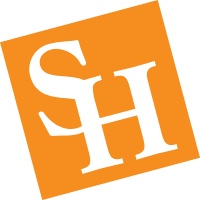 Welcome to the Online Handbook and Orientation for Part-time Faculty in the College of Education (COE) at Sam Houston State University (SHSU). You are highly valued! The strong growth of part-time faculty in post-secondary education enhances the value of the educational experience for the student and the faculty. The part-time faculty provides specialized, real-time expertise in a variety of disciplines in a wide range of fields. Motivation and success increase when the part-time faculty member is fully equipped through communication, training, and departmental support. An orientation is offered prior to the new academic year (AY) for all newly hired part-time faculty to acquaint and equip them to the procedures, requirements, resources, processes, guidelines, standards, and expectations of faculty members in the COE at SHSU (Tipple, 2010). As the primary point of contact with the student, the purpose of the online handbook and orientation is to attract, support, and retain the best part-time faculty available. Through enhanced communication we will equip the faculty member to achieve the mission of the College. "Through excellent instruction, research and public service, the College of Education provides all students with opportunities to develop knowledge, skills, strategies, and experiences which allow them to serve in diverse roles and function productively in society." Homepage: From the Homepage of the Online Handbook and Orientation for Part-time Faculty, the College of Education Part-time (PT) Faculty Coordinator is introduced, and contact information is provided for the department liaisons. In each department, a part-time faculty liaison will assist you when questions arise regarding your new position. Additionally, a mentor from your department will be assigned to you during your first year of teaching. The Online Handbook and Orientation for Part-time Faculty will guide you through the steps of becoming fully assimilated to the position. Additionally, there is a page for Frequently Asked Questions (FAQs) and a Comment Box, monitored by the COE PT Faculty Coordinator. The 7-Habits of Highly Effective Adjunct Professors provides a set of strategies for course management and successful teaching. Handbook: The Handbook is divided into three major sections: 1) General Information, 2) Instructional Resources for the Classroom, and 3) T.E.A.M. Collaboration. Each section provides a wealth of information and resources for the PT faculty. The handbook serves as the foundation for the orientation. Orientation: Orientation is required for every new PT faculty member hired in fall 2012 or later. All PT faculty are encouraged to attend the face-to-face training or complete the online training.The face-to-face training is scheduled for Friday, August 24, 2012 from 2:00 - 4:00 following the COE Faculty Luncheon. The face-to-face training will be videoed and posted on the website for the online training. Certification: Upon completion of the training, face-to-face or online, a certificate of completion will be awarded and placed in the file of the PT faculty member.